Our Arrowsmith Cognitive Instructors have received extensive training in the Arrowsmith Program theory and methodology. Their desire is to provide a positive, supportive and structured learning experience for every child and to improve the cognitive capacities of their students with learning disabilities. Mrs. Kathleen Mitchell is currently in her 19th year in Christian education, having taught from the 3rd grade level up through 9th grade. A graduate of Cal Poly Pomona and the University of Redlands, Mrs. Mitchell is also a Certified Cognitive Teacher in the Arrowsmith Program. Besides her love of working with students and helping them succeed, Mrs. Mitchell is also passionate about missions work especially her work in Guatemala with high school students. 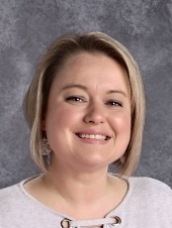 In her spare time, Mrs. Mitchell loves to walk her golden retrievers, and spend time with her husband and two children, both graduates of King's West School. Mrs. Mitchell feels very blessed to be able to live out God's calling on her life. Mrs. Heather Spain's love for children and education brought her into the world of neuroscience. She is a home grown, Pacific Northwest girl, born and raised in Kitsap County. Mrs. Spain has had extensive experience working in the public school system providing social/emotional support for the youngest and most vulnerable in special education. She believes learning should be engaging and meaningful and she strives to help all students experience this through her teaching. When Mrs. Spain heard about and witnessed students in the Arrowsmith Program, she was excited and amazed to see her love for neuroscience and passion for education weaved together in a loving and caring environment. Her response was to attend training in Toronto, Canada to become certified as an Arrowsmith Cognitive Instructor. Being professionally trained has allowed her to bring cognitive and academics together and create limitless opportunities for growth in students with learning difficulties. She is thrilled to contribute her experience in helping others reach their dreams. Outside of the classroom, Mrs. Spain spends her time with her husband and two boys, traveling, hanging out with friends and family and just enjoying this life!